They're one of the most popular shoes around, but not everyone knows how to wear boots. We're here to run you through the basics of these versatile shoes. Check out the rest of the How To Wear It guides here. Boots have been around since people first started wearing shoes, and have come in a ton of styles. Cowboy boots, Chelsea boots, chukka boots (there are ones that don’t start with C we swear) - they all have a unique look and that means there’s gonna be at least one to suit you. There’s no style that a boot won’t fit. There’s only one rule when it comes to them. Buy quality. If treated right, a good pair of boots will last you years, and you’ll be glad you didn’t buy the discount copy. This is the category where you have the most choice, as pretty much anything goes. If you want something that stands out a bit but will go with a whole bunch of outfits then the Chelsea boot is something to consider. An iconic part of 1960s Britain, these boots are great with a pair of skinnies and come in a number of different colours. You can go for classic black or brown with a simple heel, or something more extravagant in a bolder colour and more pointed toe. You can also go for military boots if you want something edgier, or hey, even go for a pair of cowboys if you love them (just make it look less ‘yew haw’ by toning down the rest of your outfit). If you’re looking for something to wear with a suit then it can be hard to find good options. 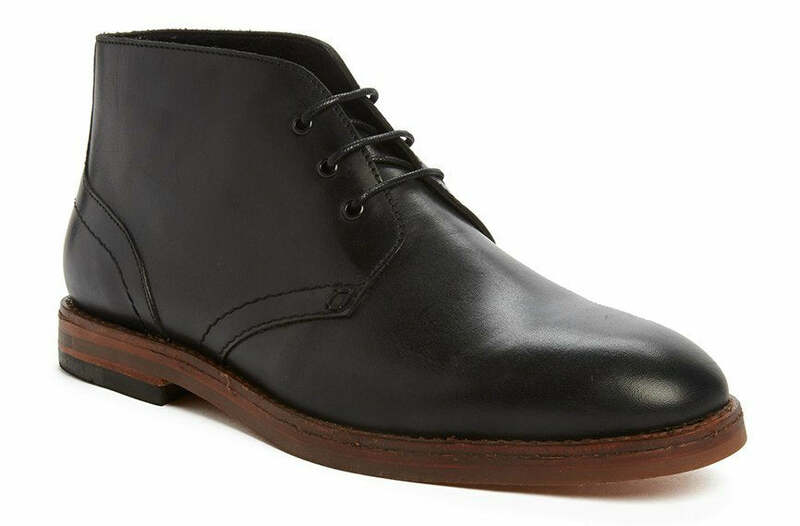 You can’t go strutting around at a business meeting in a pair of cowboy boots, but you can go for the chukka boot. Yes it may look like a normal pair of smart lace up shoes, but because these are boots they’re so much more durable and easy on your feet. They’ll look spot on with a suit, but will also look good with some smart jeans and a blazer combo if you want something more smart casual. Boots were made for the explorers and the people who really needed their shoes to survive mountains, lakes and everything in between. If you’re active and want a pair of boots to suit you, then you’ll want something sturdy. Timberland boots are a good example of a boot that could probably stop a bullet (but don’t test us on that). It’s got the right thickness of sole, it’s high enough up your leg to stop rain and grit getting in, and it’s lace up so you can easily adjust how snug a fit you want. Wear with your best active wear, and you’re ready for hiking. For something more festival-focused, a good quality pair of wellies is a necessity. They may not be glamorous, but neither is eight inches of mud up the side of your jeans. Own a pair of wellies and festivals will be that much better.